Your friends can use your Invite code to get a Php 200 credit upon signing up. Once your friend uses Uber for his/her first trip, you will also get your Php 200 credit. Win! Win! Everyone loves a free ride, so keep the generosity going. The more credits you give, the more you get. Win win. Upon signing up, Uber gives you a random invite code but did you know you can customize this so you can easily share the code with your friends? You can personalize your code to add a touch of “you” when you invite people to ride Uber. 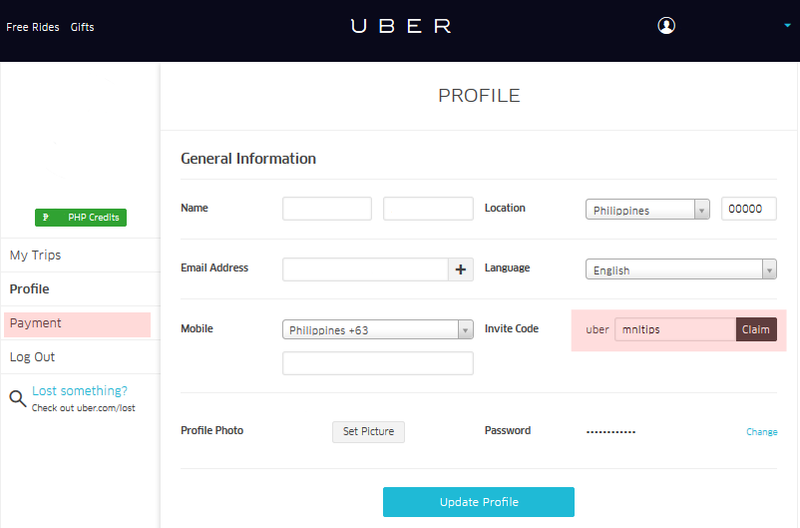 Log in at www.uber.com then in your web dashboard click “Profile” in the sidebar menu. Click “Customize” and input your personalized Invite Code. Click “Claim” to know if your chosen invite code is available. Once it’s available, save by clicking “Update Profile” otherwise, choose another invite code that’s available. 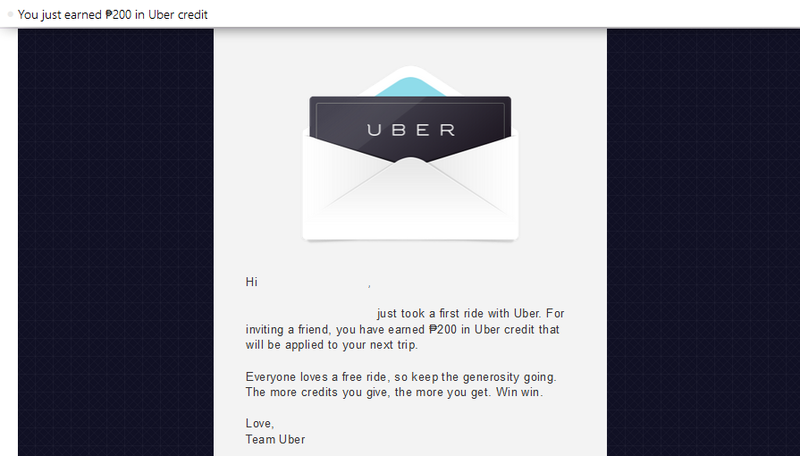 Get your Free ride with this promo code “ubermnltips” to get 200 Uber credits when you register to Uber.